There is no time like the present to address what will happen to your family when you die or become incapacitated and you are unable to manage your own affairs. The decisions you make today will make the lives of the people you care for easier by protecting the assets from creditors or divorces, and providing financial security after your passing. Each estate plan is unique, depending on the family dynamics and the assets owned by that family. My goal is to create and implement an estate plan so that your assets will be owned and managed, and ultimately distributed, to your beneficiaries in accordance with your wishes. I have a strong background in estate planning, probate and taxation law, as well as a proven ability to see the big picture and solve problems creatively. You will also find I offer quality legal services and can make the process easily understood to give you the satisfaction of knowing you have put a plan in place which will simplify the lives of those you love and minimize your tax exposure. 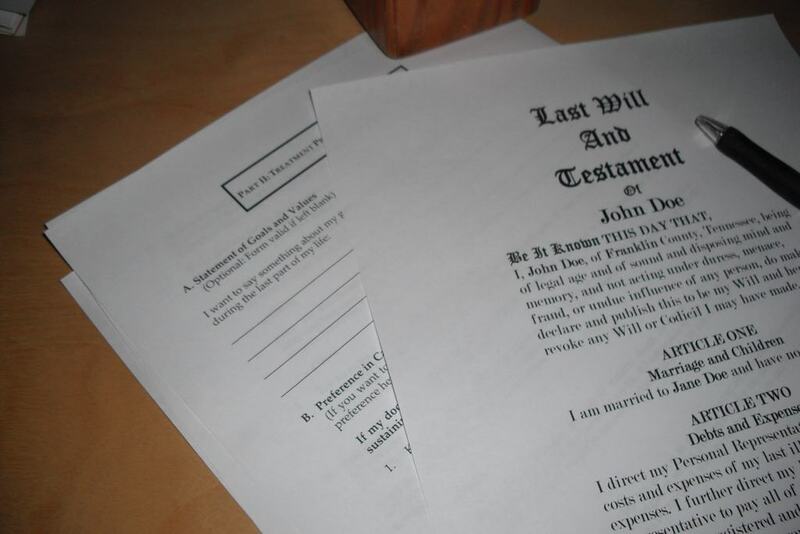 I offer an affordable package of essential estate planning services (Trust, Will, Durable Power of Attorney, Medical Power of Attorney, Living Will) that will meet the needs of most individuals right now, and that can be expanded later on if the need arises.